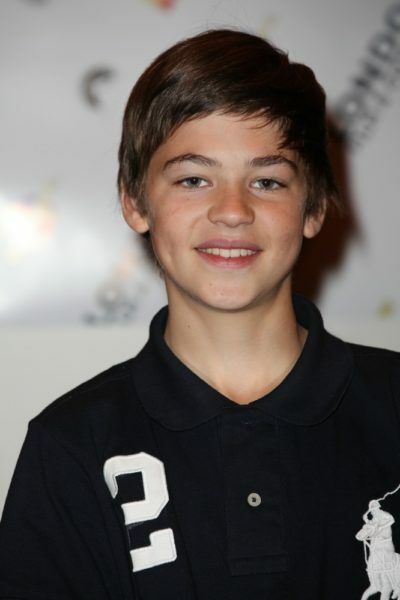 Hero Fiennes-Tiffin is an English actor and model. He stars in the film After (2019). He is the son of Martha Fiennes, a director, writer, and producer, and George Tiffin, a director, novelist, writer, and cameraman. His uncles are actors Ralph Fiennes and Joseph Fiennes. Hero’s paternal grandfather was John Tiffin, a television producer for 60 Minutes (John A. G. Tiffin, the son of George Charles Tiffin and Doris Vera Gower). John was born in Bromley, Kent, England. George was the son of George Ernest Tiffin. Doris was the daughter of Arthur Gower. Hero’s paternal grandmother was Wendy Ewer, an advertising copywriter (born Elaine S. E. Ewer; the daughter of Edward Maynard Ewer and Emelyn F. Story). Hero’s grandmother Wendy was born in Philadelphia, Pennsylvania, U.S., and later moved to England. Edward was the son of Chester Ewer and Hallie Fuller. Hero’s great-grandmother Emelyn was the daughter of Julian Russell Story and Elaine Margaret Sartori. Elaine’s grandfather was of Italian and French descent. Hero’s fifth times great-grandfather was Giovanni Battista Sartori, an early Italian immigrant to the U.S.
Hero’s maternal grandfather was Mark Twisleton-Wykeham-Fiennes (the son of Maurice Alberic Twisleton-Wykeham-Fiennes and Sylvia Joan Finlay). Mark was born at Castle Ward, Northumberland, England, and was a farmer and photographer. Maurice was the son of Alberic Arthur Twisleton-Wykeham-Fiennes and Gertrude Theodosia Colley. Sylvia was the daughter of David Finlay. Hero’s maternal grandmother was Jennifer Anne Mary Alleyne Lash (the daughter of Henry Alleyne Lash and Joan Mary Moore). Jennifer was born in Chichester, Sussex, England, and was a writer. Henry was born in Calcutta, India, the son of Nicholas Alleyne Lash, who was born in India, to Irish parents, and of Violet Maud Keely, who was born in Nottingham, Nottinghamshire, England. Hero’s great-grandmother Joan was born in Bangalore, India, the daughter of Pierce Langrishe Moore, who was of English descent, and of Muriel Strange, who was born in London, England, to Indian-born parents, and had English, Scottish, and Northern Irish ancestry. Hero’s matrilineal line can be traced to Sibella/Sybilla Dickson, who was born, c. 1742, in Somerset, England, and to her mother, Anne Carteret Dickson.